We have been connecting creatures from Eric Carle's books to nonfiction texts. I can see a huge increase in the interest of nonfiction books. A few students are starting to write about nonfiction topics at writing time. I saw so many great nonfiction convention charts on Pinterest that I was inspired to create an anchor chart and have the students make little non-fiction convention books! You can find a small kindergarten version and a bigger version below. 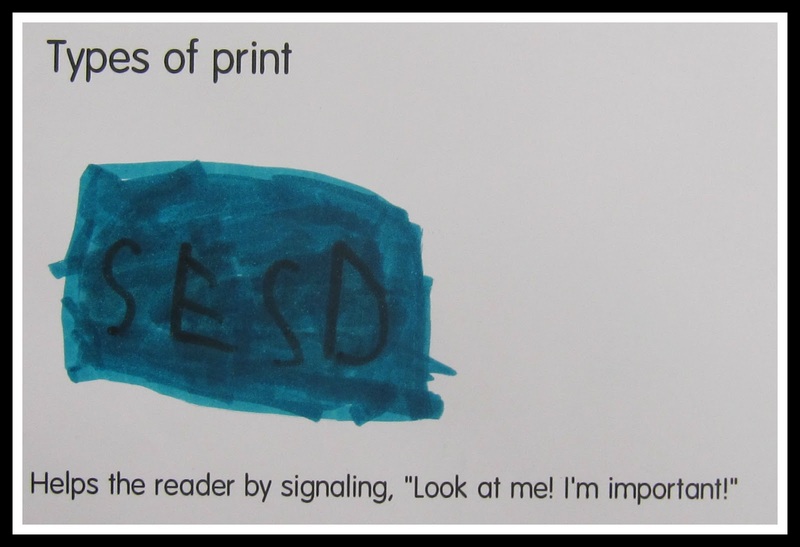 I decided that for the little k book I would write the definition, and I focused on six features. 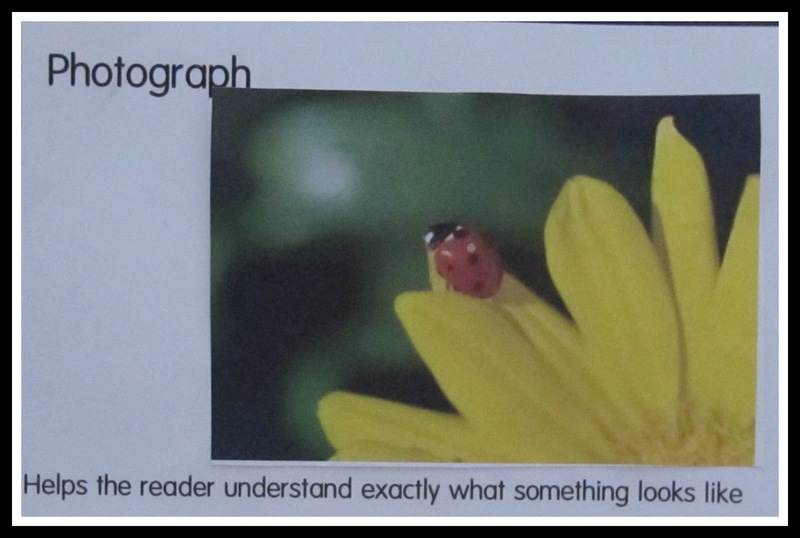 The bigger book has more features and space for the student to write the definition. I zoomed in on a feature over a few days. 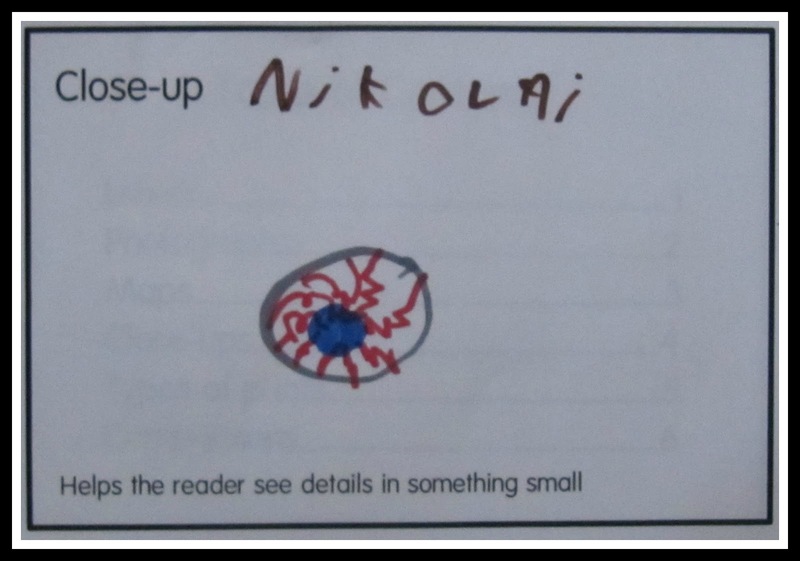 Now, when we are reading nonfiction books we refer to the chart to reinforce the feature we learned about and why it is helpful. You can find the download to the books and the chart below. Looking back, I will probably start this chart in the fall and focus on a feature once a week. 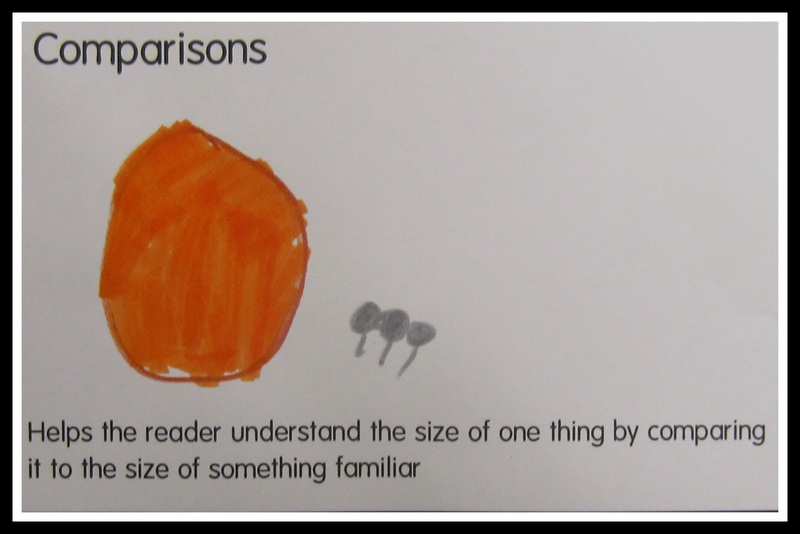 Next week, we plan to create a Venn diagram comparing fiction and nonfiction. I printed nonfiction photo's and had them cut and glue them in. This picture is an ant next to an orange. 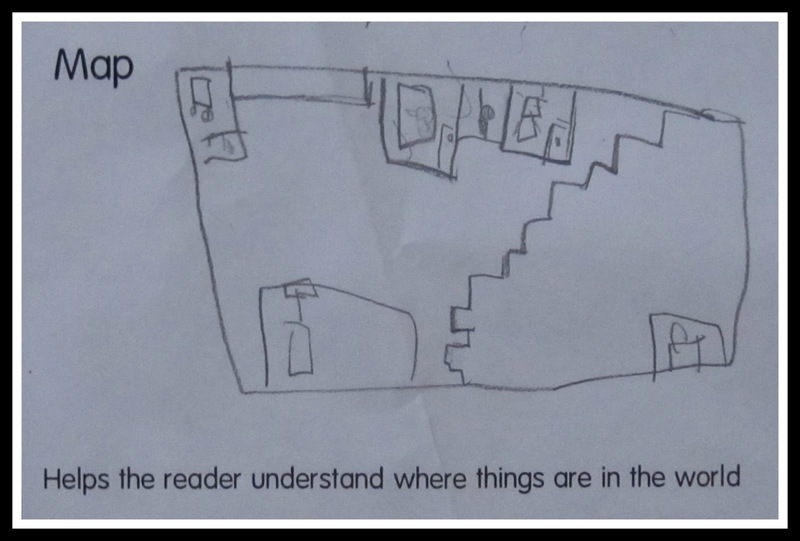 We read the story Me on a Map and I encouraged students to make a map of the classroom or their bedroom. This book has a Table of Contents, Index, Glossary and Captions. You can download individual pages. The Inspiration came from this beautiful chart on Pinterest! You said it was hard to find books that use comparisons. I have a farm set (chickens, sheep, cows, pigs) by Hannah Ray that compares each animal to the size of a six-year-old child. I also like Biggest, Strongest, Fastest by Jenkins; it compares animals to people or other familiar things. Hope that helps! 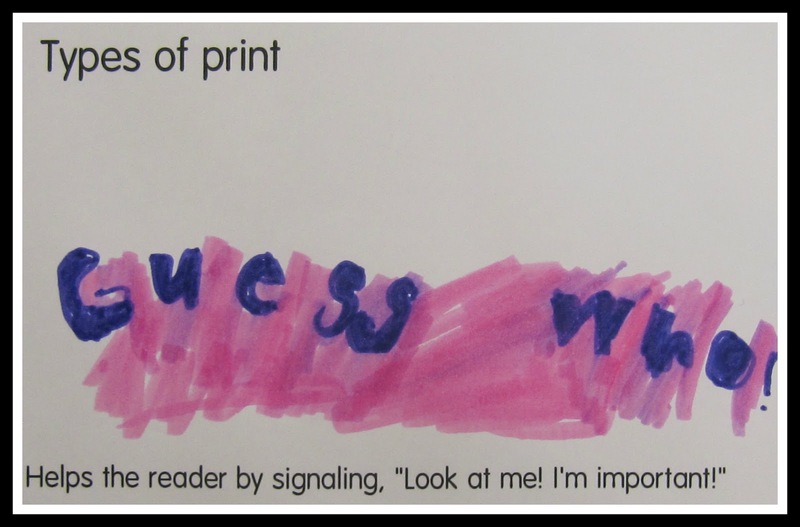 LOVE these, especially the anchor chart pieces! Thanks for sharing. I can't wait to work on these! I have been following you by email for months & now I've finally started my own blog! Thank you for all of the freebies & check out my blog soon...I will be posting weekly plans & workstation freebies! This is awesome! I love it - I can't wait to print and put together. Thanks for sharing! Other great books for comparison are If You Could Hop Like a Frog by David Schwartz and Actual Size by Steve Jenkins. Thanks for so many great comments!! I am so glad that they will be used in classrooms!! Thanks for the great book suggestions too! This looks fabulous! I want to use this in my classroom. I am a new follower. Thanks for posting this. Awesome blog! I just found your blog via Melissa Stewart. 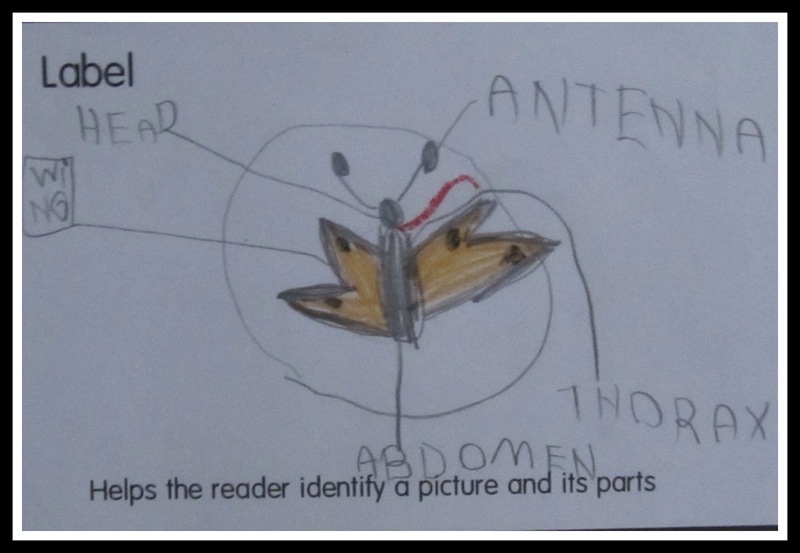 What a wonderful way to help children delve into nonfiction. I'm following! This is the best explanation I've seen for including nonfiction in reading. Thanks for such a great post. Wow! 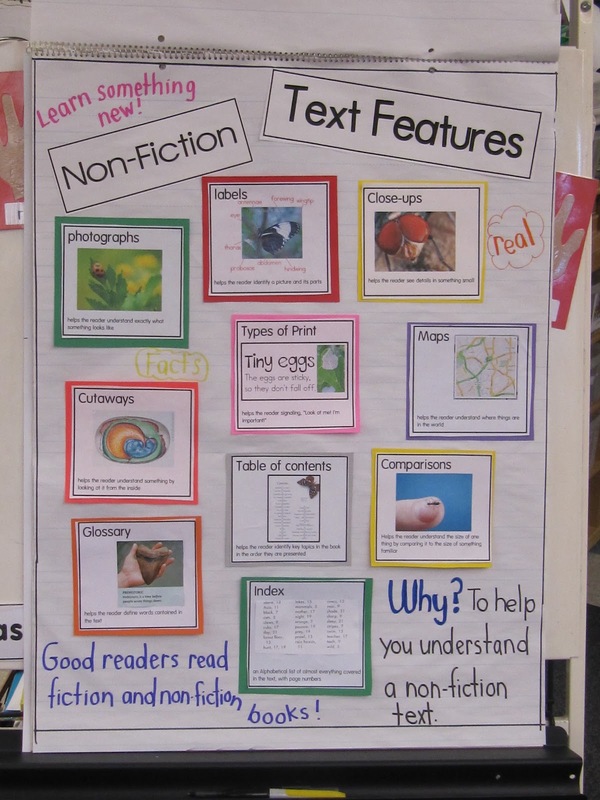 I just found your anchor chart for non-fiction text features on pinterest... and said to my husband, "I LOVE Pinterest!!!" This is SO awesome and I can't wait to use these downloads in my instruction for my second graders. These visuals are awesome!!! Thank you so much for sharing your wonderful work. I am inspired! I couldn't seem to download it...could you send me a copy at jessica.starcher@live.longwood.edu please? I love it so much and would like to use it with my first graders! 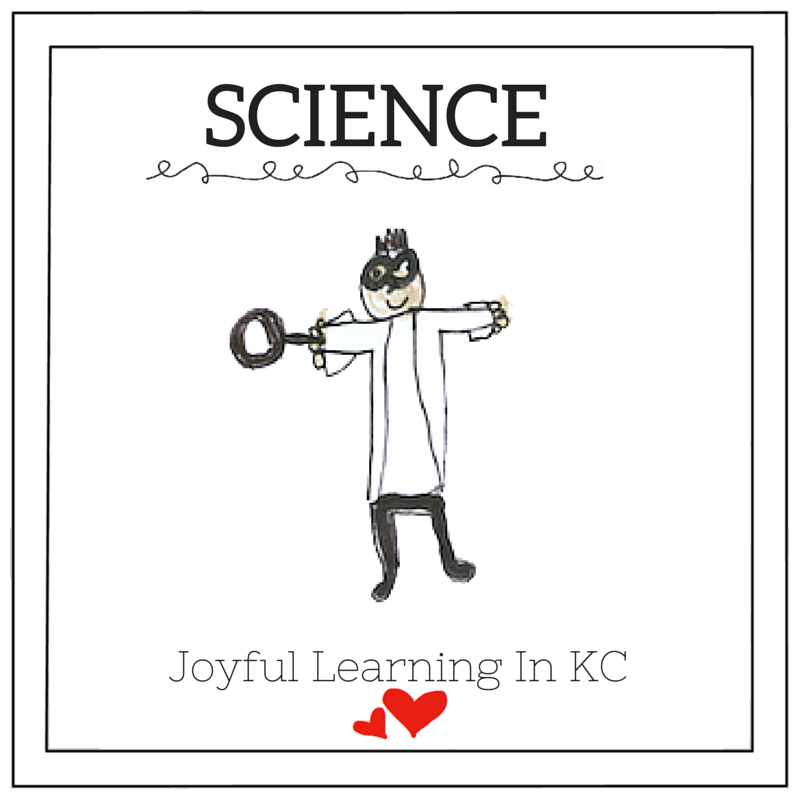 Hi Melissa, I am a new teacher and am getting so many wonderful ideas from your blog, so thank you thank you thank you!! 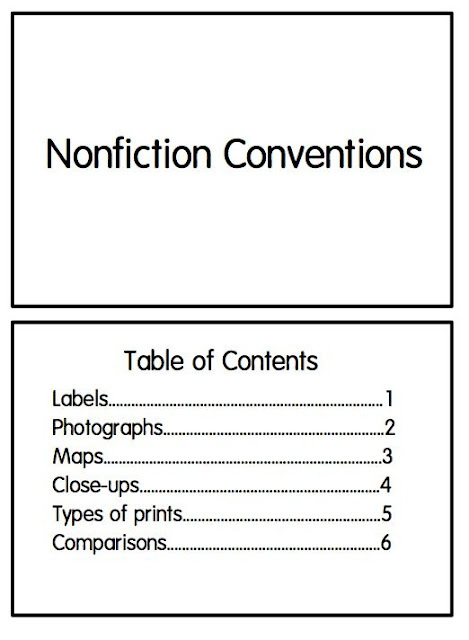 I love your non-fiction anchor chart and text features book, but the link to download them isn't working. Would you mind sending them to me via email? Thanks so much! Found your blog and anchor chart through Pinterest! Could you email me the posters for the anchor chart? I LOVE your non fiction text feature signs. I am trying to download them but am having a lot of trouble. Can you email them to me? Thanks. Can't wait to start following you! I love these nonfiction charts! I am trying to download them, but am having trouble. I'd love to use them with my students and was wondering if you could possibly e-mail them to me. Thank you so much! I love these nonfiction charts but can't download them Would you mind emailing them to me? 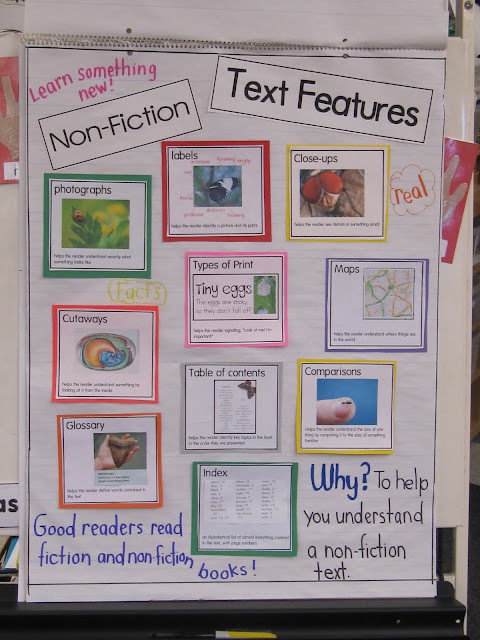 I am starting to work on nonfiction and wanted to know if you would email your nonfiction text features. Yes, it's a bit much but so on point. Loved it when I saw it and each section cannot be printed due to me not having scribd membership. Can you email these to me as well? Your web site is a treasure trove of ideas! Thank YOU!! Love this as well, but cannot find it in Google docs.